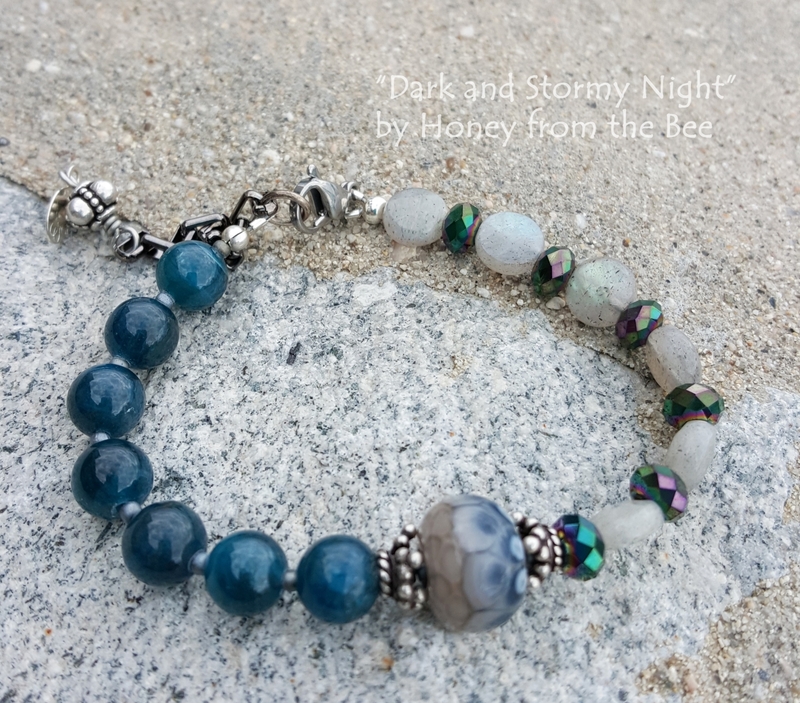 Imagine this one of a kind labradorite and dark teal apatite bracelet layered with sterling silver bangles and chain. Perfect for day or night wear. 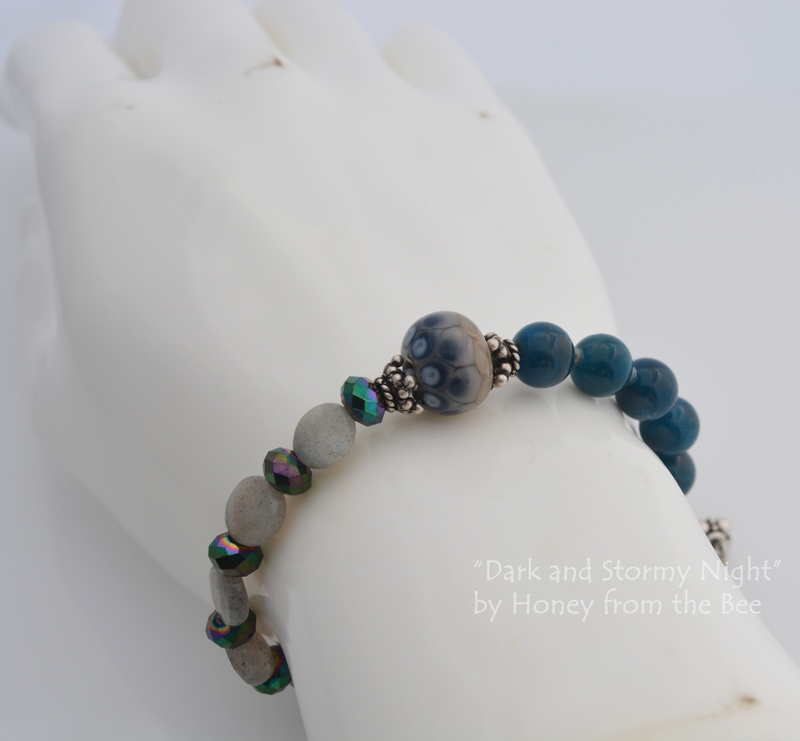 Faceted labradorite coins are joined by faceted dark peacock crystals on one side and dark teal apatite beads on the other. 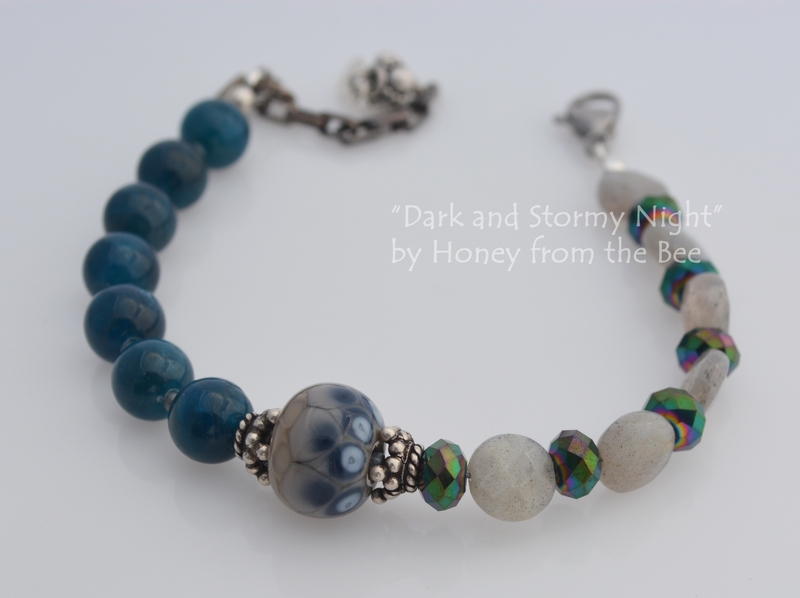 This bracelet features a lampwork bead by Pinocean, one of my favorite glass artists. Her beads are always colorful and detailed. Bali Silver highlights the focal bead as well as dangles off the extension chain. Stainless steel lobster clasp and gunmetal colored extension chain. Adjustable from 6.25 to 8 inches.